Description: Five Books: 1. Firearms Curiosa, L Winant, @1955, 281 pages 2. The treasury of the gun, H.L. Peterson, @ 1962,252 pages 3. The American Gun Vol 1 No 1 winter 1961, L. Koller, @1960, 104 pages, no jacket 4. The American Gun Vol 1 No 2 spring 1961, L.Koller, @1961, 96 pages no jacket. 5. 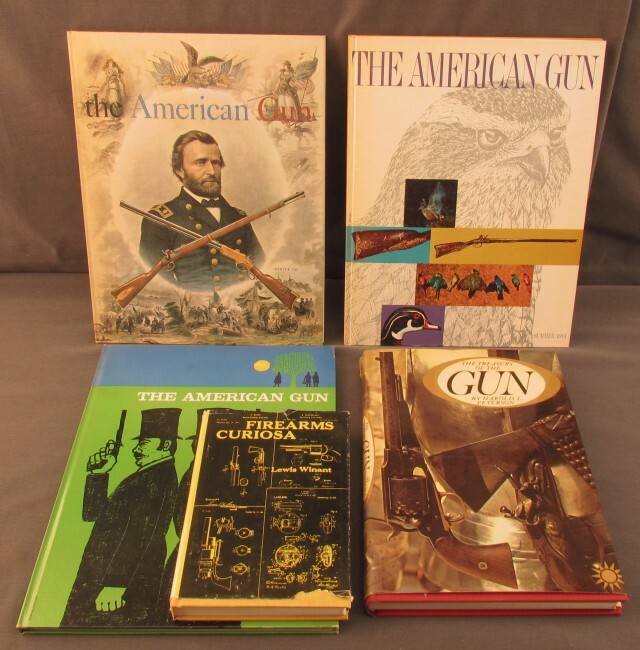 The American Gun, Bol 1 No 3 summer 1961, L Koller, @1961, 96pages, no jacket These are used books with wear soiling and former owners names stamped inside. Great books for your library.